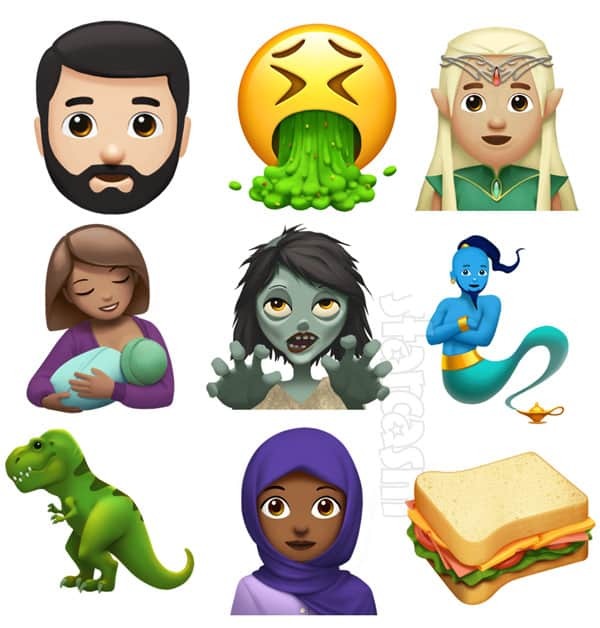 PHOTOS Apple reveals new emoji: sandwich, breastfeeding woman, zombies, and more! Today is World Emoji Day, and in honor of the occasion, Apple has just revealed a slew of new emoji they will be adding to iOS, macOS and watchOS later this year! Among the new designs are lots of new people (bearded man, woman with head scarf, breastfeeding woman), animals (zebra, T-Rex), supernatural beings (elf, zombie), food (sandwich, coconut), and variations of the yellow smiley face (exploding head, vomit, starstruck). Bikinis and pizza are undoubtedly two of mankind's greatest creations -- and now, in honor of National Bikini Day, international restaurant chain Villa Italian Kitchen is offering both together in the form of the $10,000 Pizza-Kini! On this season of Botched, viewers met Germany's Martina Adam (aka Martina BIG). At the time that she visited Dr. Paul and Dr. Terry, Martina had the largest breast implants in Europe, and she was looking for the booty to match. 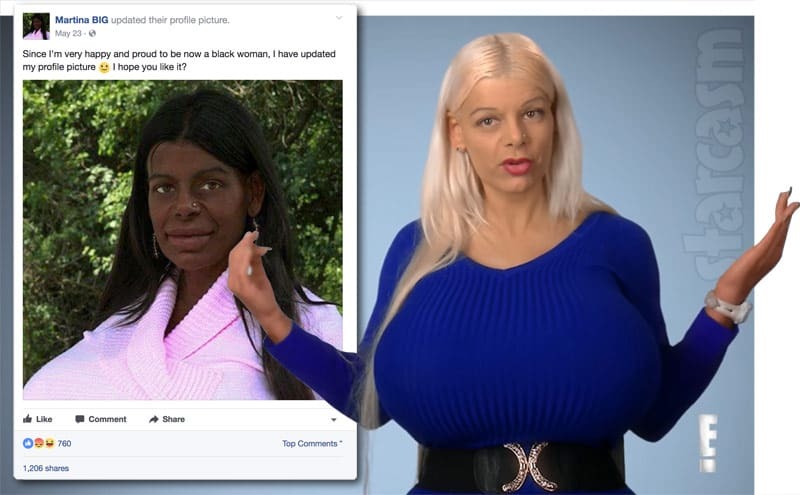 It appears that grabbing attention via implants has gotten a bit blasé for Martina, though, as her most recent headline-grabbing transformation is her transition from a white woman to a black woman. 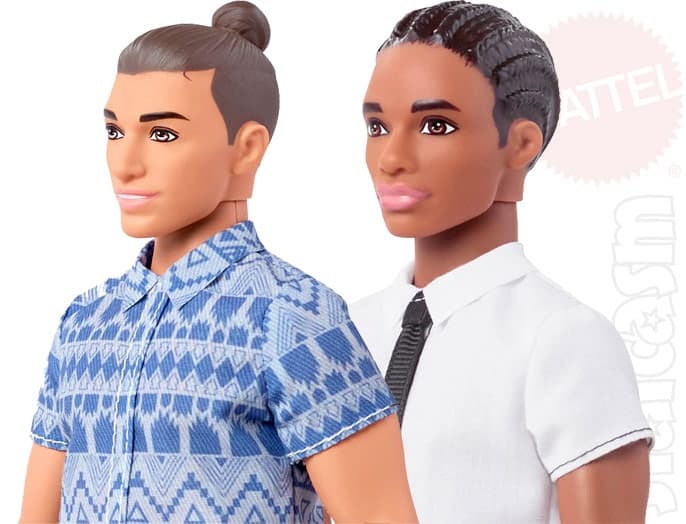 PHOTOS New Fashionistas Ken dolls offer man bun, hoodie, corn rows, and more! 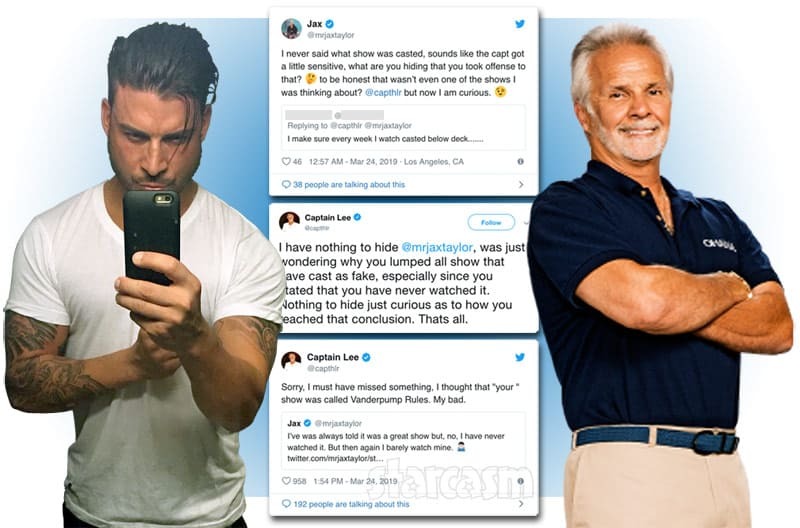 Mattel has just unveiled their newest line of "Fashionistas" Ken dolls, and the internet is pretty much freaking out. Billed by Mattel as the "Next Gen Ken," the ultra-hip new Kens come in a range of hairstyles that include a man bun and corn rows, with clothing options that include a hoodie, spiked metallic silver hightops, and LOTS of plaid. In addition, to continue to promote diversity in their Barbie line, the new Kens come in a range of skin tones as well. 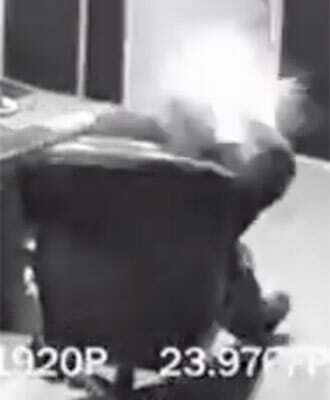 Social media is abuzz today after security camera footage from a recording studio shows singer/producer CeeLo Green talking on a cell phone as it explodes in in face, knocking him to the floor! Keep reading to watch the shocking clip, and get ready to become an avid speaker phone user. 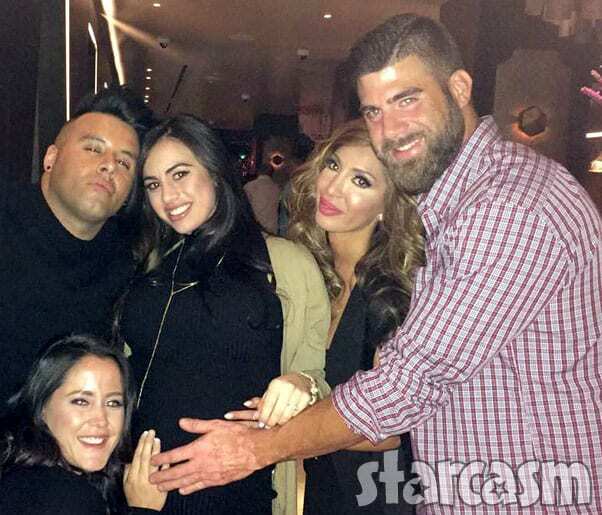 UPDATE - CeeLo has revealed that the exploding phone footage was staged for an upcoming music project! Keep reading to watch his video addressing the whole thing and letting everyone know he is OK.
Pokemon Go babies: Egg hatching guide, buddy distances, and more! Yesterday the makers of Pokémon Go announced the introduction of Generation 2 Pokémon babies, revealing that trainers must hatch the new awwwwwdditions from eggs. 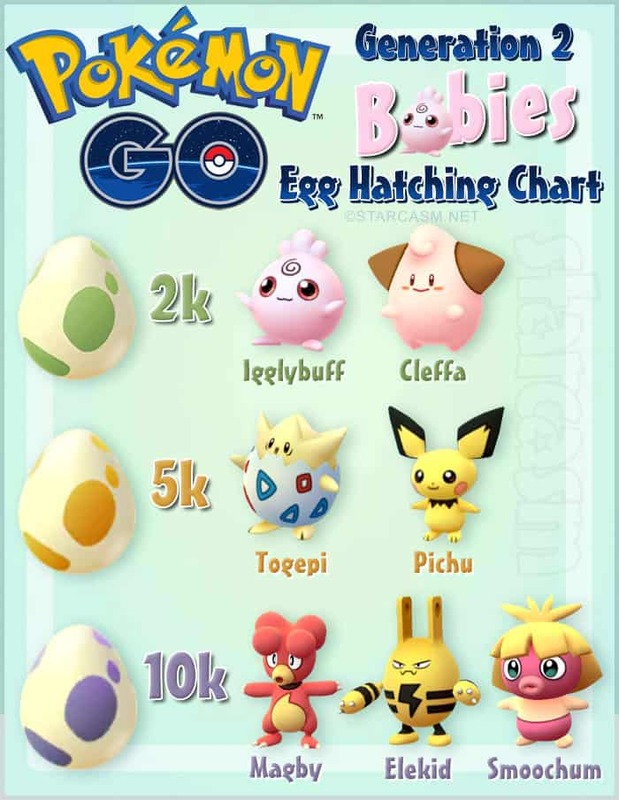 The announcement left folks with a lot of questions, so we tried to answer pretty much all of them -- including a handy dandy chart showing you exactly which baby Pokémon come from what kind of egg! Starbucks Pokemon Go promotion CONFIRMED! Is Gen 2 coming Dec 8? If you're one of the millions of folks trying to "catch 'em all" with the record-breaking geolocation mobile app Pokemon Go, then your task may soon be getting more difficult as a new "leaked" corporate Starbucks photo appears to verify earlier evidence that the coffee company is partnering with Pokemon Go creator Niantic Labs to promote the introduction of new Pokemon to the game later this week! 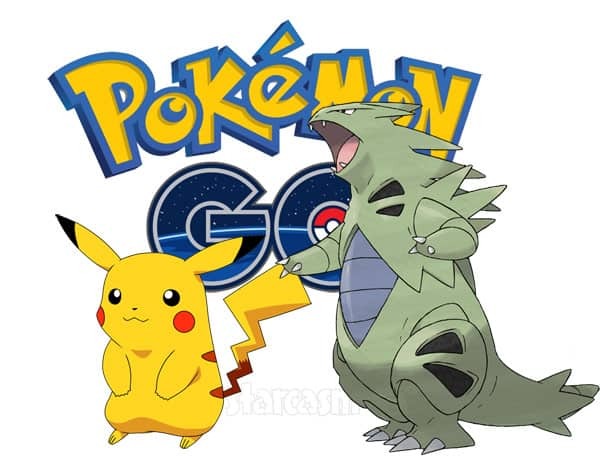 When is Pokemon Go Generation 2 being released? Leaked Starbucks email suggests early December! 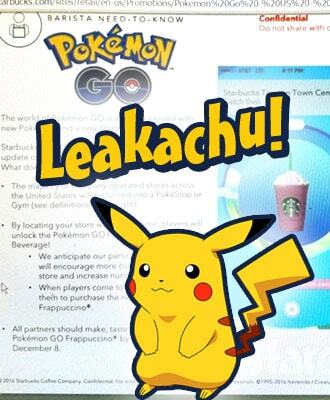 The makers of Pokémon Go may soon be making it harder for players to "catch 'em all" as a leaked corporate partnership email from Starbucks hints there will be 100 more Pokémon to catch in less than two weeks! Keep reading to see the email and find out when it suggests Generation 2 will be introduced to the game!